Blaster Master Zero makes a surprise debut on the Nintendo Switch! During today’s Nintendo Switch Nindies Showcase, we revealed for the first time that Blaster Master Zero is coming to both the Nintendo Switch and Nintendo 3DS on March 9, 2017 in North America and Europe! This is our first release as an official development partner for the Nintendo Switch, and needless to say, we couldn’t be any more excited about it! The Switch version differs a bit from the 3DS version in that it has features that take advantage of the Switch hardware, such as HD Rumble compatibility and a brand new co-op Multiplayer mode where 2 players can play using the Joy-Con controllers! The Blaster Master series makes its long-awaited return with loads of new and improved mutant blasting action on the Nintendo Switch and Nintendo 3DS! After acquiring the license to the legendary NES classic Blaster Master from Sunsoft, Inti Creates set out to create a new game that both pays homage to the original and takes the gameplay to the next level with numerous new and improved gameplay features added. The graphics for the game use the original Blaster Master at a starting point to create pixel art that both appeals to a modern audience and harkens back to the glory days of the NES. With new bosses to fight, new areas to explore, and a host of new features and upgrades, Blaster Master Zero is a fresh new blasting experience for newcomers and series veterans alike! 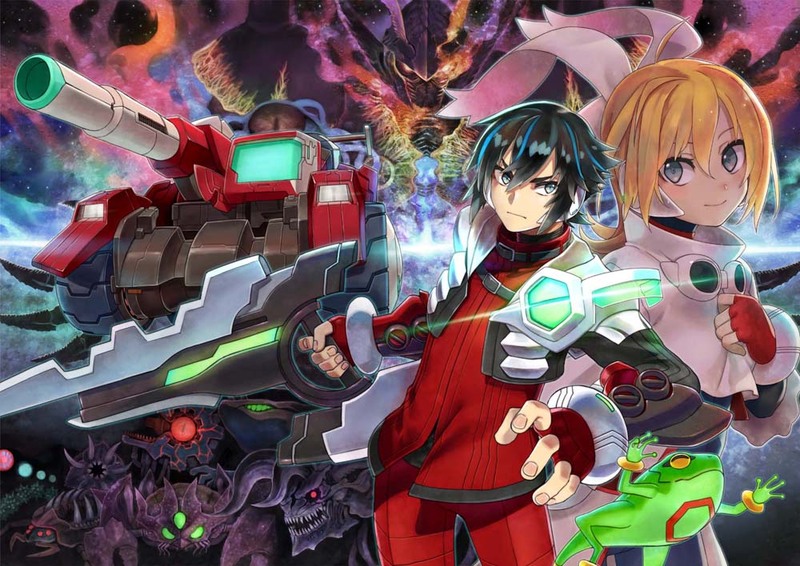 Blaster Master Zero starts the story over again from “zero”! One day, a young man named Jason Frudnick, known for being a genius in the field of robotic engineering, discovered a strange creature that he had never seen before. No records of this mysterious creature could be found, so Jason gave it the name “Fred” and took it to his lab to begin closely observing it. Shortly after that, an accident occurred in the lab and Fred managed to escape. Fred jumped into a hole that seemingly appeared out of nowhere. Jason followed, and before he knew it, he found himself in a cave where the battle vehicle “SOPHIA III” awaited him. With his curiosity in this incredibly high tech vehicle piqued, Jason hopped abroad SOPHIA III and began his adventure in the vast subterranean world in search of Fred. Mutant scum never learn! Blaster Master is back! For lots more information about the game, check out the trailer below and the official website! Looking for a press kit? Get it here!